The Manor at The Read House offers city view rooms and a central location in downtown Chattanooga. These newly renovated rooms provide simplicity and comfort. 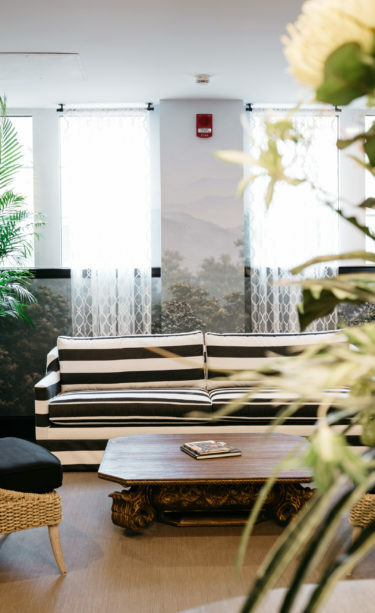 The hotel’s guest rooms and suites feature convenient amenities, as well as easy access to the historic Read House Tower’s restaurants and meeting rooms. Families and business travelers will be equally comfortable in The Manor hotel rooms. Scroll down to see which accommodations are right for your visit. Please note that all our rooms are 100% non-smoking. An early departure fee of $50 applies to guests who checkout prior to their scheduled departure date as confirmed at check-in. Please contact the hotel for further information. Debit and credit cards will be authorized at check-in for the amount of your stay, plus an amount to cover incidentals. The authorization will hold the funds until checkout, at which time the amount actually incurred during the stay will be charged. Authorized amounts may take up to 30 days after departure to be released by your bank or financial institution, and the hotel will not be responsible for any resulting fees or charges. All guestrooms and public spaces are 100% non-smoking. A $250 cleaning fee will be charged to any guest who violates the smoking policy.